Michael focuses his practice on various forms of financings for municipalities, school districts, municipal authorities, for-profit corporations, and nonprofit corporations. His financing work includes general obligation debt, sewer and water revenue bond issues, and industrial development agency financings. Michael has performed or supported the role of issuer's counsel and bond counsel on a variety of industrial development agency and public authority projects. Examples of such industrial development projects include commercial, manufacturing, nonprofit, and recreational projects. Examples of such public authority projects include parking, water and sewer systems, and airport projects. 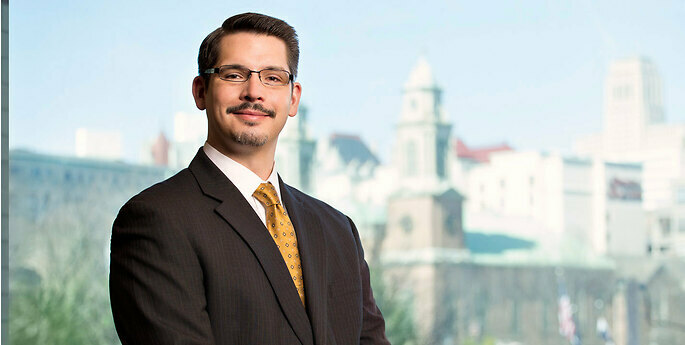 In connection with municipal and school district finance, Michael has performed or supported the role of bond counsel and underwriter’s counsel. Since joining Hodgson Russ, Michael has been involved in the development and structuring of a number of capital projects with emphasis on creating a regional approach to the financing structure and on connecting public and private entities (i.e., private/public partnerships) to provide a regional public/private solution. Each situation has required an understanding of benefits and limitations of public finance under New York State law and the federal tax law, together with an awareness of what the private sector and private capital markets can provide.